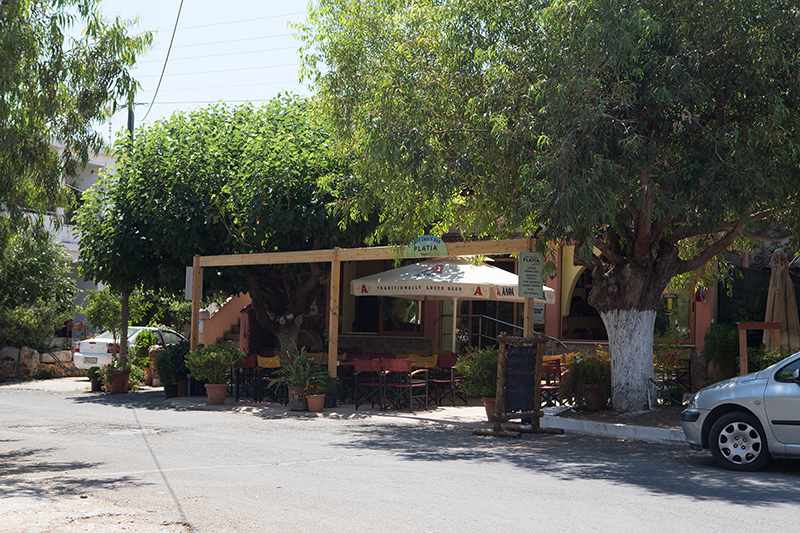 Starting from Heraklion in the morning, you drive towards the plateau of Strouboula. 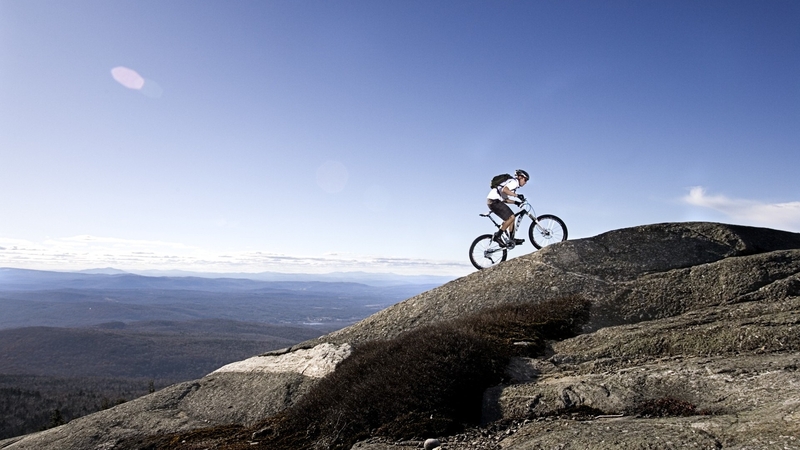 You start your biking route in the foothills of Psiloritis, following a beautiful dirt path that gives you the opportunity to admire the geological peculiarity of this mountainous area with the variety of its landscapes. 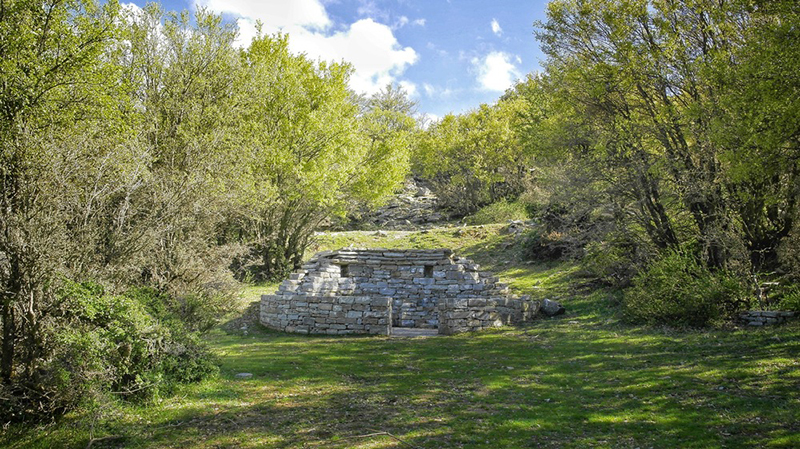 After a while, you pass Gonies, a historical village with many natural beauties, and follow an uphill path of great natural beauty, where you will find “Mitata”, small round stone houses built by the shepherds. 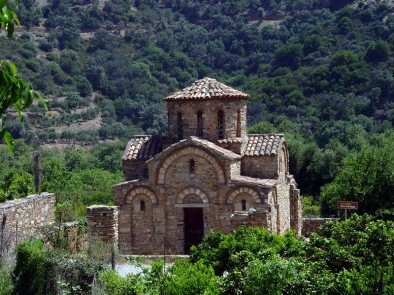 In the mountainous area of Fourni, you will see a small stone chapel of St. Ιakinthos, patron of love. 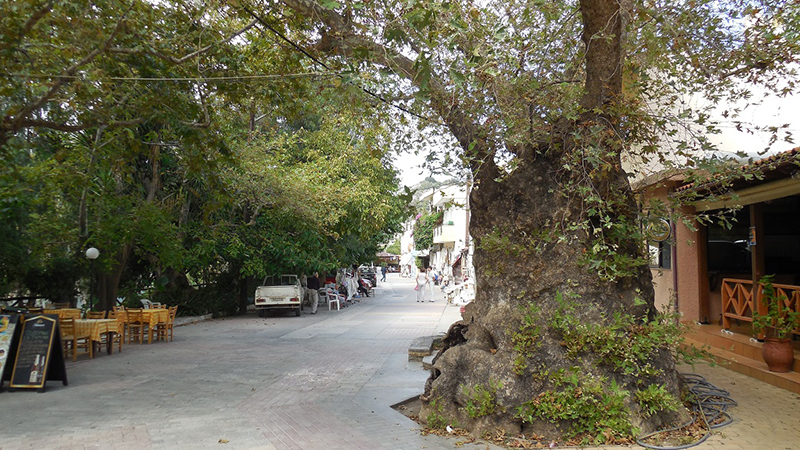 You continue your route in this magnificent place with the huge oak trees, pass the archaeological site of Zominthos and end up in the meadow of Koursona. 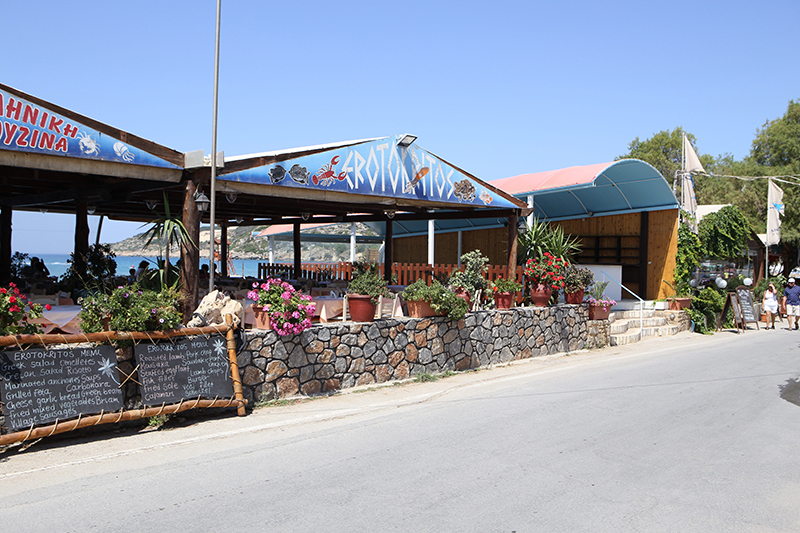 Finally, you reach the village of Anogia at an altitude of 750 meters. 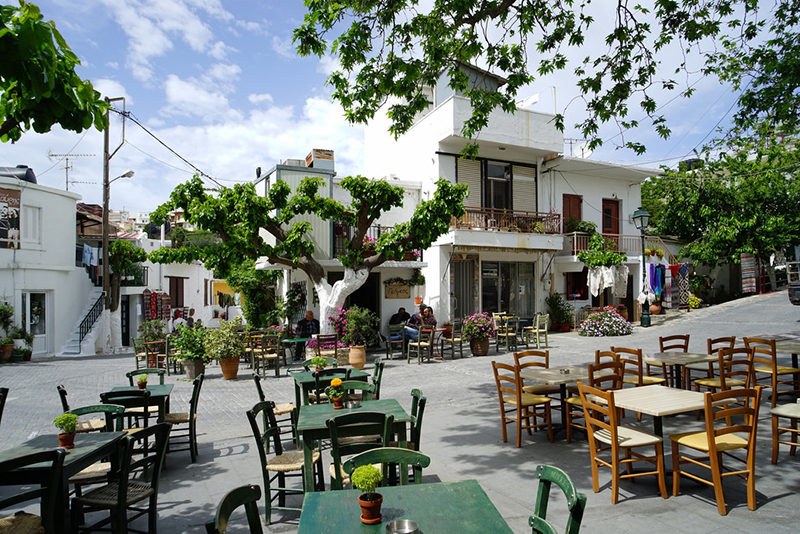 It is a special place inhabited by friendly people who remain faithful to their traditional way of life. 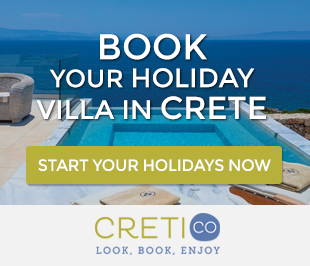 Except from the excellent Cretan food that you will find in its traditional taverns and guest houses, there are beautiful traditional villas in Anogia to spend some nights. 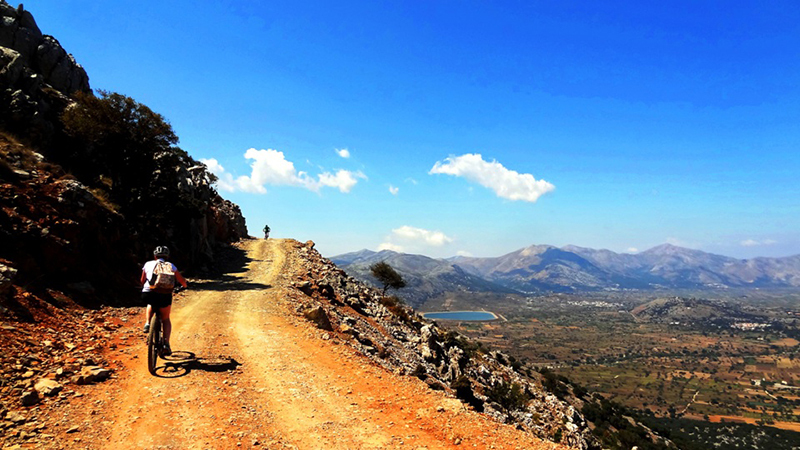 Lasithi plateau, in the hinterland of the island, is a dreamy destination for biking in Crete. Surrounded by the high mountains of Dikti and several smaller plateaus, it offers a really unique view. 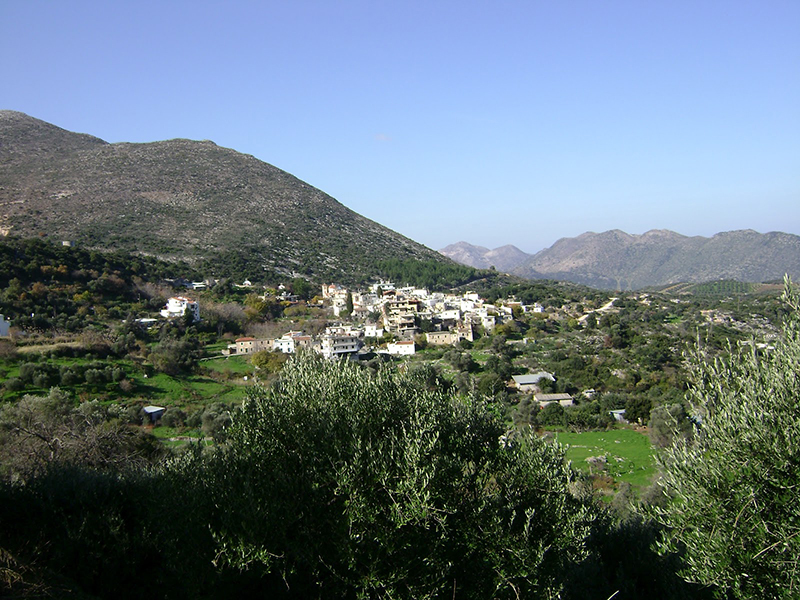 Its altitude varies from 800 to 850 m, and it is one of the few areas inhabited at such a high altitude in Mediterranean. The 18 villages of the plateau are built in the foot of the mountains around. 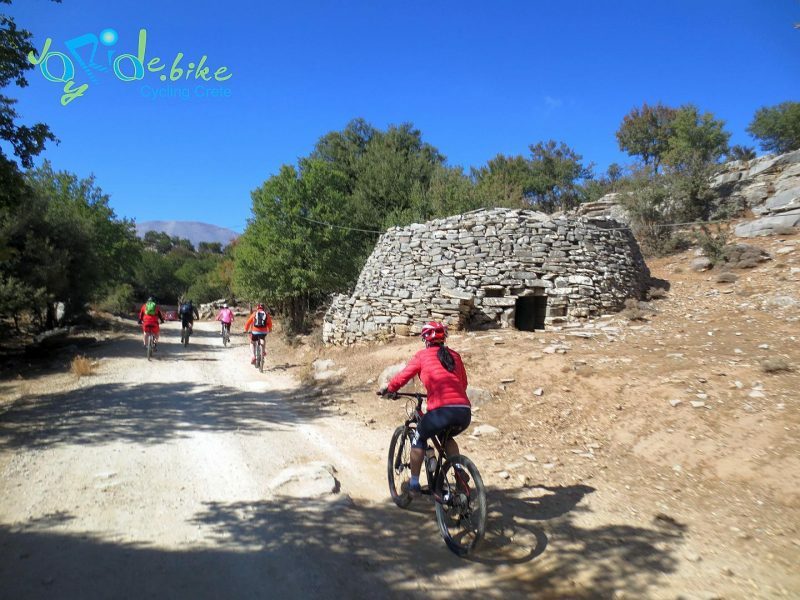 This route is ideal for mountain biking in Crete, as there are not big hills and it is easy for you to visit all the sights of the plateau. 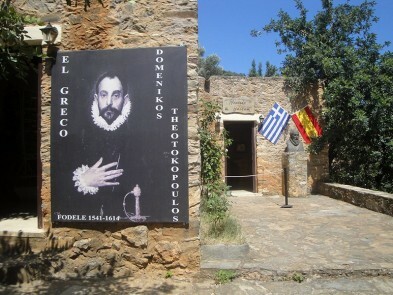 The most important sight is considered to be the cave of “Psixro”, near the village, known as Dikteon Andron. 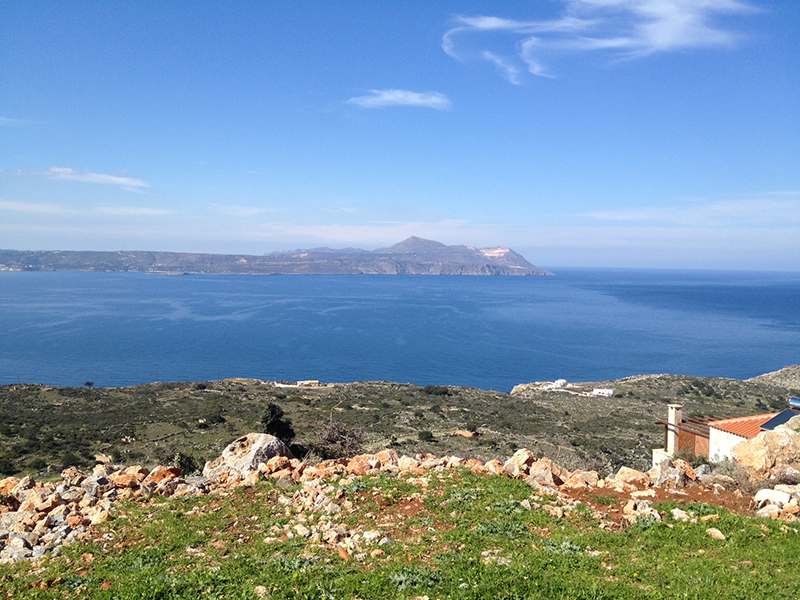 According to the myth, Zeus was born there and the cave has an important role in ancient worship. 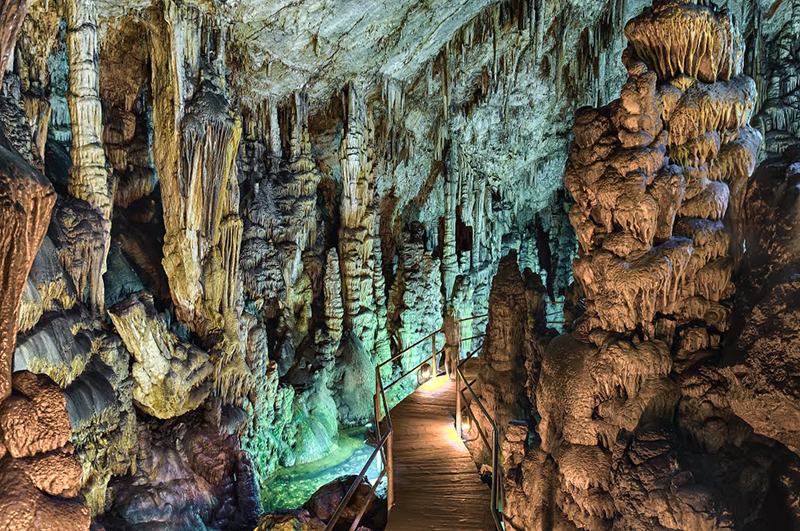 Also, according to tradition, in this cave, Zeus was united with Europe, giving birth to Minos. 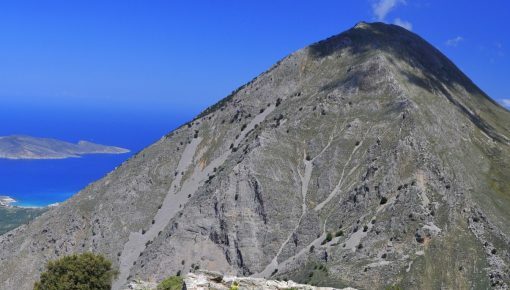 These routes and even more, throughout Crete, combine quietness and tranquility with unparalleled and unspoiled beauty and compose an amazing, unforgettable scenery for the visitors. 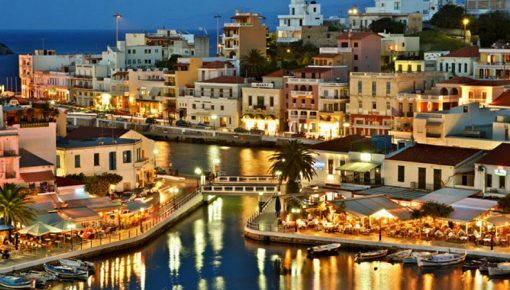 Posted on 14 Apr 2016 in Activities in Crete, Featured Posts and tagged Anogia, Crete Nature, Lasithi Plateau, Plaka, Scenic Routes in Crete, Traditional Crete Villages.